Home choice rings Dresses silver wedding rings wearing wedding rings Wedding wedding day wedding rings How should the wedding ring be worn? How should the wedding ring be worn? Once married, the tradition states that the engagement ring should be moved to the ring finger of the left hand. The Romans believed that the vein in the left finger is directly connected to the heart. It is accepted in the western culture that wedding rings are worn on the left ring finger. The wedding ring symbolizes a union. But it ultimately depends on the personal preference of a person that in which finger the ring is to be worn. 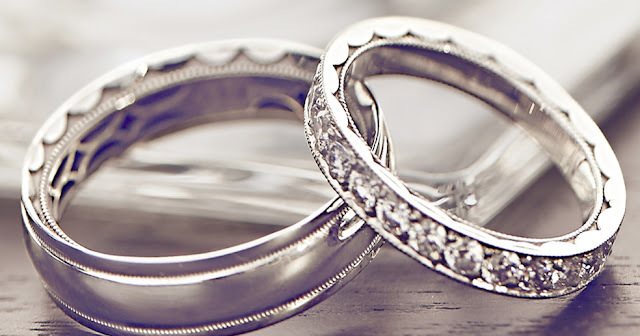 Traditional wedding rings are worn on the right-hand ring finger in Bulgaria, Germany, Poland, Russia, and Norway. But in most of the countries, the wedding rings are worn on the left hand. However, in the bible, it is written that wedding rings must be worn on the right hand. The wedding symbolizes deep bond of love of marriage and eternal love. A ring of marriage is considered as a symbol of deep friendship and eternal love in a marriage, whether it is worn on the right hand or left hand. 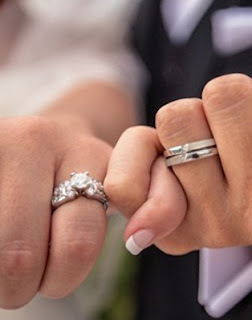 A ring of marriage can be worn in two ways, i.e., wearing a wedding ring on the ring finger and the wedding band on the top, and the other option is to wear them on ring finger with the engagement ring on the top. The engagement ring and the wedding ring can be worn as an engagement ring in hand and the wedding ring on the other. Some people does some alternate between rings they either wear wedding ring or wedding band.